Whether you prefer Thai, Indian, Vietnamese, or Chinese, we have a menu for you! Asian cuisine offers huge variety in terms of flavours and cooking styles. From spicy Indian curries, to the umami taste of Japanese food or coconut-infused dishes in Thailand, there’s a lot for a foodie to discover and enjoy. In India, for example, meat and veg with spicy sauces are a staple. In Vietnam, food is generally lighter, with people preferring raw veg and steaming broths. The Japanese are big raw fish fans, in contrast to the Koreans who make good use of the grill and are liberal with their spices. 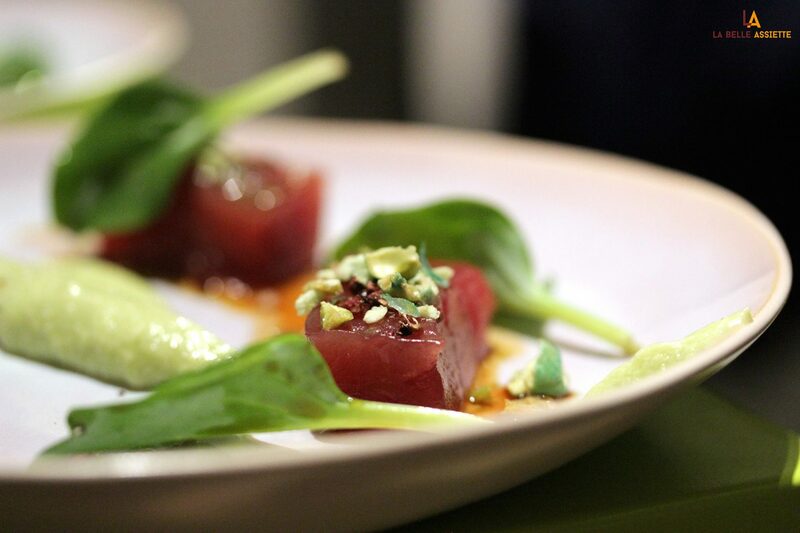 The seemingly endless choice of dishes could be overwhelming, but our chefs are on hand with perfectly designed menus featuring creative variations on Asian cuisine. With over 580 chefs available on La Belle Assiette, you’re spoilt for choice. We’ve found a few Asian-inspired menus to get you started. Relax over a long brunch with courses including curried bubble and squeak and toast with pistachio cream. Steaming cardamom and ginger tea is served throughout. Enjoy salmon aumonier with crispy vegetables and a Thai dressing. Experience an exciting mix of flavours with a main course of miso-glazed half poussin with potato purée, green beans, and pickled cherry tomato. This tasting menu offers a gourmet Asian feast, including grilled sandalwood monkfish, pea relish, and saffron crispbread. Focus on one Asian cuisine at a time with these dedicated menus. 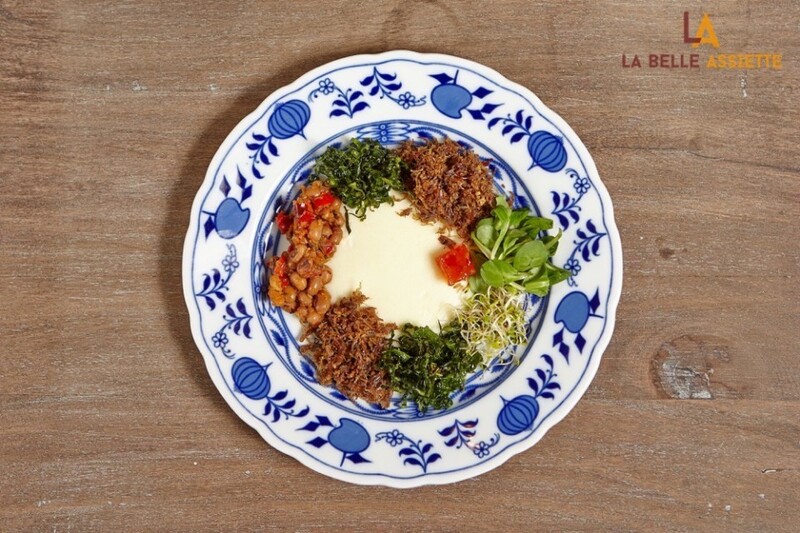 Inspired by the Vietnamese “An sáng” breakfast, with its array of scrumptious dishes. Featuring such lovely sounding dishes as Gỏi Xoài Tom with fresh king prawns, green mango, red onion, rau râm, crispy shallot, and chilli-lime vinaigrette. Enjoy Japanese pizza with beef tatami, tobiko, chives, sesame seeds and Japanese mayo. Experience real Bangladeshi food with freshly-made pakora drizzled in chutney. Tempted? 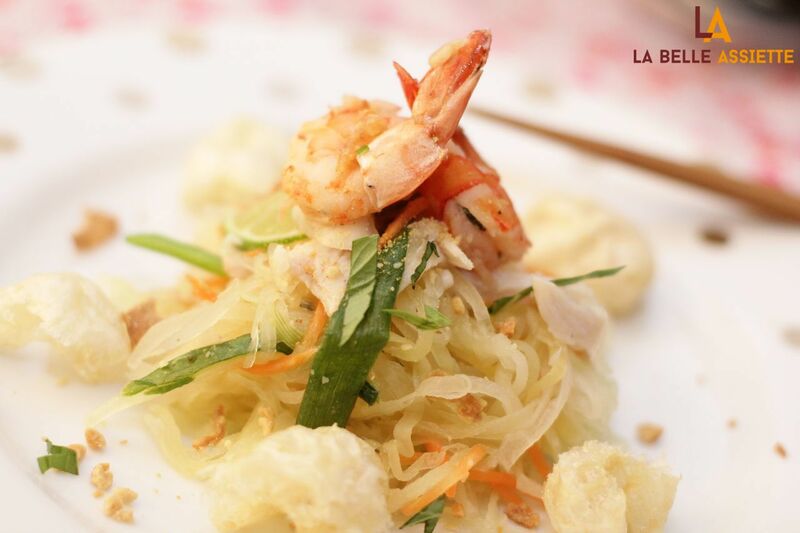 Book one of the menus above or find your favourite Asian food on La Belle Assiette by browsing and filtering menus by cuisine type. Do you cover Northern Ireland? Informative post! I like Asian cuisine with its strong aromatic components, flavors as citrus and herbs. etc.. as well as it differs from the region. What about Central Asian cuisine? Can you cook it for a customer?